La de da de dum, what’s the name of that song? Music ID apps, while not new, have proven extremely useful for those common moments when you want to identify (or just remember) a song you hear. Two of the most popular music ID apps, Shazam and SoundHound, go beyond basic identification, adding features to help discover and share music. Both apps are available in free, ad-supported versions on multiple mobile platforms, including Android, iOS, and Windows Phone; or you can pay for an ad-free experience. Which one should you include in your mobile app arsenal? I tried both at common tasks to see which worked best. At their core, these apps exist to help identify songs and save the IDs so you can find them later. You hear a song on the radio, during a TV show, or on a commercial, and you want to know what it is. The app listens to the sound, compares the sound to the service’s database, and returns its best guess. 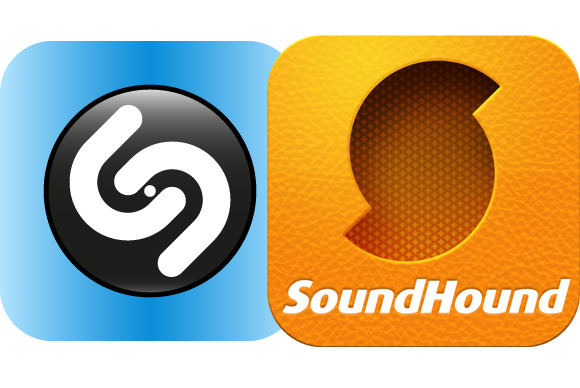 When it comes to this primary task, Shazam and SoundHound tie. Both provide comparable accuracy, although in one case I stumped SoundHound but not Shazam (the song was “Broken Hearted Ma” by Bobby Rush, which I heard at a burger joint). The other times either both apps figured out a particular song or neither did. Each app seemed to identify songs more quickly when singing was involved, while the instrumental sections took longer to match. Both services only work with published versions of songs—if you’re at a concert or listening to a bootleg, the apps usually won’t help. Both work best if you’re listening in an environment without other audio distractions. In other words, don’t try to identify a song you hear playing in a crowded sports bar and expect to get accurate (if any) results. Both services integrate sharing to Facebook and Twitter so you can let the world know what you listened to. When you share, it includes a link to the song in the app, and you can add a comment. 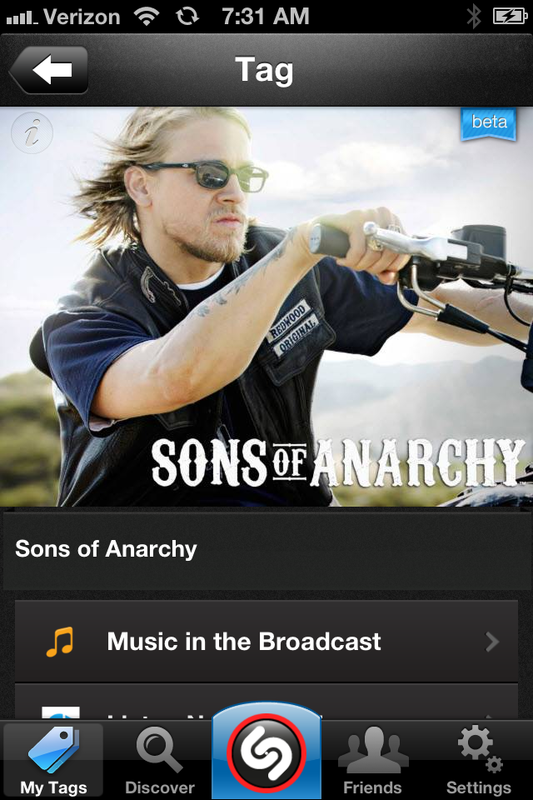 Shazam sets itself apart with its interface. Both Shazam and SoundHound feature a big button to start listening, though Shazam makes its impossible to miss. 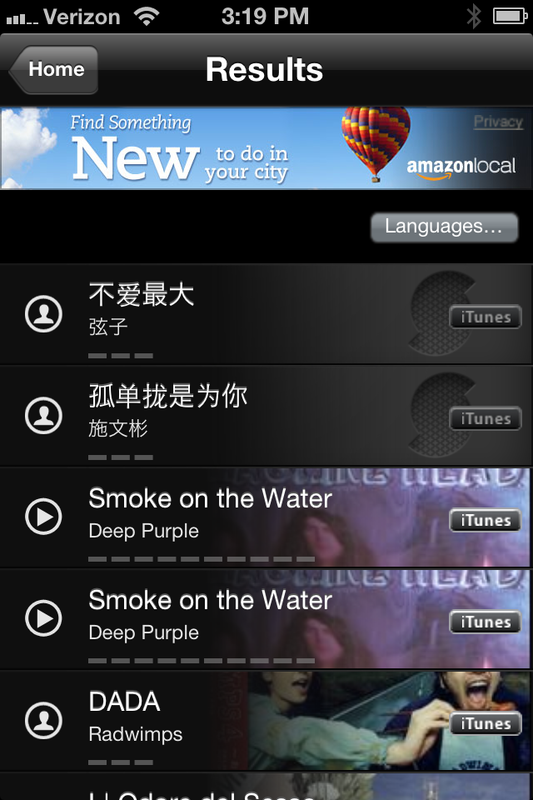 Shazam also has more intuitive—and larger and easier to tap—icons along with a cleaner display of the results. As I mentioned, music ID services aren’t anything new. So these apps need to do more than indentify to earn a spot on your mobile device. If you have no clue what to listen to, Shazam’s Discover tab lists the top 20 songs tagged by its users. SoundHound expands on discovery options: Its Charts tab lists the most-tagged and most-tweeted songs from within the app, as well as some tracks promoted by SoundHound. What if you know the name of a song, but want to hear it or find out the lyrics? Both app can do that too. In Shazam, the Discover tab includes the ability to search by title, artist, or album. But title search results lack an important relevance sort—I entered “Forever Young,” a song written by Bob Dylan, but Bob Dylan’s song didn’t come up in the 10 results it provided. SoundHound’s search provided much better results, including the popular rendition by Rod Stewart as well as Dylan’s version. Both apps offer lyrics for some songs, but not all. SoundHound offers a link for a Google search if it doesn’t have the lyrics in its database. Tied going into round 3, the best music ID app for you depends on which of the extras you’ll use. Shazam’s special feature is that it can identify television shows and ads in addition to music. Similar to Yahoo’s IntoNow, you run the app while watching TV and it detects the show, and then delivers some relevant content—a list of songs in the show and recent tweets about it, for example. The identification doesn’t seem to be episode specific, though. In what could be a killer feature, SoundHound says it can ID a song that you sing or hum. When it works, it helps answer the question, “What’s that song in my head?” I must be a terrible singer, however, because I couldn’t get it to ID my vocal take on Led Zeppelin’s “Stairway to Heaven,” Iron Butterfly’s “In-A-Gadda-Da-Vida,” or Bon Jovi’s “You Give Love a Bad Name.” I finally got SoundHound to somewhat recognize me humming “Smoke on the Water”—the Deep Purple song was one of the possible options it showed me. Either of these apps is fun to have within your mobile app collection. You never know when you’ll desperately need to know the name of that song. If you’re just interested in identifying music, I’d choose Shazam because of its superior interface. If you want to discover new music, however, SoundHound is a better choice.